MacOS Mojave delivers new features inspired by its most powerful users, but designed for everyone. Stay focused on your work using Dark Mode. Organize your desktop using Stacks. Experience four new built-in apps. And discover new apps in the reimagined Mac App Store. The macOS High Sierra 10.13.3 Update improves the stability and security of your Mac and is recommended for all users. macOS High Sierra 10.13.2 Update released! 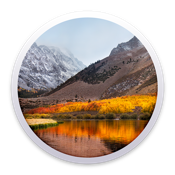 The macOS High Sierra 10.13.2 update improves the stability, compatibility and security of your Mac, and is recommended for all users. Apple released macOS 10.13.1 public update. macOS High Sierra Final Release!!! macOS Sierra 10.12.6 update is out! The macOS Sierra 10.12.6 update improves the security, stability and compatibility of your Mac, and is recommended for all users. The macOS Sierra 10.12.2 update improves the stability, compatibility, and performance of your Mac.